Imagine being an engineer assigned to help develop a device — and you’re not even allowed to see what it is supposed to look like. Secrecy was so important to Apple on its first iPhone, the first prototype was not a handset but a large development board for team members to hook to a display to try out various functions. 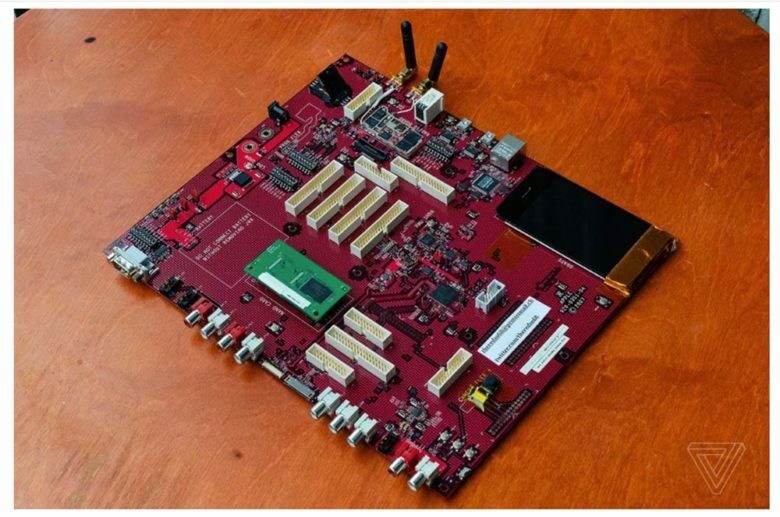 Tech news site The Verge worked with an anonymous source named Red M Sixty to bring readers a rare look at what it says is an original iPhone development board, a prototype with the code name M68. The Verge says this is the first time the red circuit board for the original iPhone has been seen in public. Engineers working on the software and radio portions of the iPhone used the board, according to writer Tom Warren’s source. Apple assigned the red circuit boards without screens. Then the company tasked engineers with porting Apple’s Darwin operating system to the iPhone, which debuted in 2007. It seems unlikely Apple would ever make this part of the iPhone development saga public. Even Ken Kocienda, an Apple software engineer and designer for 15 years, said he never glimpsed such a red circuit board. Kocienda said his board was green and came with a separate handheld prototype for the touchscreen. Warren’s story meticulously explains how the board works. (The source allowed him to power it up.) Apple fans, collectors and tech tinkerers surely will enjoy this glimpse into Apple history. These days, Apple still keeps upcoming iPhone designs secret within its walls. However, now it issues smaller circuit boards to its development teams.